WE CAN HELP WITH YOUR WEDDING! 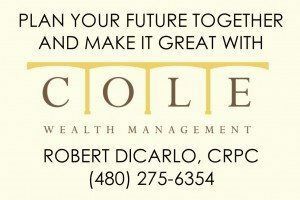 Just call 480-502-0707 from 8 am – 6 pm. Changing your name after the wedding? at Social Security and MVD (driver license). purchase your marriage license, and you’ll get it in the mail. ceremony to add a spouse to one’s insurance. These are our industry references. Backyards, The Grand Canyon, on A Corner in Winslow, Arizona and more. Thanks for the joy and integrity you brought into this world. To join us or to find out more about the vendors who work with us, you can email us. Links to our friends are provided as a courtesy to them. Did we inadvertently leave a business off The List? EMAIL NOW. While we strive to make the information on this website as useful and accurate as possible, we make no claims, promises, or guarantees about your satisfaction with these friends. No warranty of any kind, implied, expressed, or statutory, including but not limited to the warranties of non-infringement of third party rights, title, merchantability, fitness for a particular purpose or freedom from computer virus, is given with respect to these links to other Internet resources. Still, these are the people we would gladly hire for an event of our own.